The credit culture of a bank, which is a blend of the policies, practices and experiences of the bank, determines the lending behavior acceptable to the bank. A poor credit culture has adverse impact on the asset quality of the bank. It generally results in providing loans for non-commercial reasons, scant regard for the purpose of loan, unrealistic payment schedules etc. For a bank to exhibit an excellent credit culture, the top management should ensure a positive and valuing attitude towards their employees. The management should ensure that they create a healthy credit culture and go beyond the frontiers to fend off the evil—credit risk. Walter Bagehot, a noted economist, banker, political thinker and commentator, critic and man of letters of the 19th century once said: “A bank lives on credit. Till it is trusted it is nothing; and when it ceases to be trusted, it returns to be nothing”. To put it differently, being in “trust” makes all the difference—when you have a sure feeling about your “credit-decision”, you’re less likely to go back and forth uncertain of the actions you have taken or are taking. To be confident about one’s credit decisions one needs to listen to his inner voice, his gut, and try to erase the ghosts of self-doubt in countering non-commercial considerations. It is worth remembering here—“you have control over how you choose to see situations and decide whether or not to lend”. When one goes after his dreams and puts things in the right perspective, his confidence will soar, and he will be able to succeed in building-up healthy loan assets. This however calls for identification of the external forces that are likely to challenge a lending-authority’s “decision-making-prowess” so that, one could build-up necessary strategy to overcome these hurdles and build a healthy credit portfolio and that is what this paper shall attempt to accomplish. Before we begin our discussion about extraneous considerations and such agencies that are potential-enough to impair a credit decision, it might help put things into context if we discuss what credit is all about. Credit is at the very heart of banking. Indeed the word “credit” was derived from the Latin “credere” which, means “to trust or believe”. Thus, credit means faith or confidence that is engendered between a debtor and creditor, which may result in the transfer of value in the present, the payment being deferred to the future. Credit is often defined from two platforms: One, credit as a potentiality and two as an actuality. In the case of former it is defined as “ the power to obtain goods or service by giving a promise to pay money on demand or at a specified date in the future” while in the case of the latter it is defined as “the present right to a future payment”. • Building up reserves to cover potential losses. That is the kind of “objective-analysis” that is necessarily to be undertaken while entertaining a credit-request and yet banks are often found to decide upon a loan proposition at a petty “subjective” level. It is because of this “subjectivity” that is at the heart of credit analysis and the ultimate credit-decision, that the ability of “external-forces” to influence credit- decisions, stands enhanced. Some such forces external to the credit proposition that is on hand but potential-enough to influence the outcome of a credit decision, can be broadly analyzed under the following heads. • The incorporation of credit quality concerns into the staff performance review process. As discussed earlier, a credit is extended to a client against his/her promise to repay it in future as per an agreed repayment schedule. It implies that the borrower should generate funds out of the borrowed funds and service the debt and its cost. This philosophy of paying the borrowed funds from the future cash-flows casts upon the bank officers the responsibility of analyzing the potential of the proposed business activity to generate funds that enables a borrower to service the debt as also to distribute dividends to the shareholders. Suffice to say that a loan proposal must essentially be appraised in terms of its technical feasibility and commercial viability. Any deviation from this doctrine is likely to impair the quality of the assets being created. • enjoying the benefit of the loan either directly or through kick-backs or reciprocal favors owed. The rejection of commercial criteria as the basis for lending may not always be explicit. Nonetheless, non-commercial considerations may permeate the credit approval process very intensely particularly, in banks that are encased in poor credit culture with the accompanying deleterious effects. At times, explicit government policies in terms of directed lending etc., makes credit officers complacent in their analysis of a credit proposition. This lull in credit analysis particularly, of projects emanating from weaker sections and priority sector are often known to make lending decisions redundant for banks perceive such loans as “any-way-to-be-sanctioned-category”. This naturally leads to a high proportion of NPAs and correspondingly low level of asset quality. Either by virtue of the proximity of corporate offices to a particular geographical area or for historical reasons, some of the major nationalized banks, are known to have skewed exposure to certain geographical areas, for example states like Gujarat, Maharastra, etc. Over a period of time, this over-exposure and the adjunct beliefs about the credit-worthiness of businessmen hailing from the respective zones have solidified almost into a norm unmindful of even their vulnerability to an economic downturn or natural disasters affecting that particular area, resulting in further rise in the exposure. Being satisfied with the current performance of an existing borrower, banks are often found entertaining fresh requests from him/her for loans to implement new projects. This act of an apparently comfortable nature unwittingly leads to over concentration of the loan portfolio among a few select individual borrowers tying-down the fortune of the bank with that of the borrower’s fortune. Secondly, as such concentration of loan portfolio among a select few results out of a “safe-feel” of the sanctioning authority about the proponent, there is every chance of credit appraisal getting relegated to the background and therefore repayments taking a heavy beating. In a nutshell, concentration of loan portfolio in a few hands is potentially dangerous as it is prone to create more NPAs than healthy assets. Certain segments of industry are often governed by the principle of long boom periods followed by steep and rapid busts. Despite this hard reality, instances are many where banks have been continuing to lend to cyclical industries even when they are passing through recession. Worse yet, this is claimed to be more out of their helplessness in unwinding their existing positions from a segment that is currently passing through a down-turn in want of takers, that too at whatever price. This however does not mean that they need to lend fresh funds but here again they argue that unless fresh funds are disbursed, existing loan cannot be recovered. This kind of learned helplessness is in all probability likely to weaken the scope for scrupulous financial appraisal. Such lax in appraisal could only result in poor asset quality or more NPAs. There are occasions where banks in their anxiety to ward-off a prospective NPA in the immediate future, are known to sanction generous credit-terms like long gestation periods, lower installments vis-à-vis the projected cash-flows etc. Such generous terms are likely to facilitate siphoning-out the excess cash flows by the borrowers or enable them to recover their investment in the project at the earliest and there by lose interest in operating the unit effectively, till at least the loan is repaid. Such an approach is therefore potential enough to debilitate an existing company and make a loan non-performing. Being carried away by the kind and value of collateral securities offered by a proponent banks tend to ignore the purpose of loan. On the contrary, it is the purpose of loan that determines the potential for generating the much-needed cash flows to service the debt. This kind of irreverence to the purpose of loan simply means, no credit appraisal. This is a classic example of sanctioning loans based on non-commercial considerations and to that extent the scope for building quality assets gets a beating. Amount of a loan should be consistent with the purpose for which the money is requested besides not exceeding the capacity of the customer to repay in full and on time. Initially, any excess sanctioning vis-à-vis the required capital for establishing a project is likely to result in diversification of funds while, the cash flows from the investments made on the project being not sufficient to service the debt. Similarly any under-financing is equally capable of inflicting damages by way of time-overruns or cost-overruns in implementing a project or not being able to put the assets owned to their fullest use and generate cash flows as contemplated at the time of sanctioning the loan resulting in loan-default. The net result is poor quality assets. Looking at the other assets owned by an entrepreneur, banks are known to fix unrealistic loan-repayment schedules. Such ill-founded enthusiasm is likely to dampen the spirit of an otherwise genuine borrower in complying with the tight repayment schedule. Secondly, this impasse can also strain the execution of operating-cycle un-interruptedly, which means, poor cash flows. All this cumulatively can result in credit default. It is not uncommon among banks to be overawed by big names behind the loan proposals being considered for sanctioning. This results in loan decisions being typically made without proper financial appraisal. Poor financial analysis obviously, lacks the checks and balances that a systematic credit review process imposes and is therefore subject to abuse. There may also be other egregious forms such as “reciprocal giving of favors”, “political references”, etc., influencing banks to sanction a loan. In such circumstances no wonder, if banks fail to ask for adequate collateral securities or over-price the offered collaterals. Banks, in their anxiety to convert every proposed idea into a business reality, are often found to rely too much on collateral securities. Their anxiety to ensure “safe-lending” makes them vulnerable to being lured by collateral securities offered by a client. This over-reliance on a collateral to sanction a loan simply wean-away the credit officer’s attention from the projected cash flows that are essentially supposed to repay the loan and its critical analysis. It is also possible that the collaterals being overvalued and during an economic crisis such an overvalued asset may become worth a fraction of its estimated price. Even if the value of the collateral is adequate, it may not always be possible to enforce the right to dispose off the charged securities and appropriate the sale proceeds towards the outstanding loan. Worse yet, with the kind of legal system that is today operating in the country, the process of enforcing securities may be so time-consuming and expensive that the ultimate realized amount might make a mockery of the “time value of the money”. Over and above all these considerations, reliance on a collateral solely for the purpose of justifying the sanction of a loan, which is incidentally not uncommon among the banks, does no good to a bank for, it would mean that the underlying project is not self-liquidating. It is a deliberate attempt simply to sell a credit proposition that is not viable on its own and thus a potential NPA is being added to the existing loan portfolio. Either way such lending is injurious to the health of a bank. When the ownership of a bank changes, particularly from that of a state-owned to private holding, a particular peril is likely to occur. 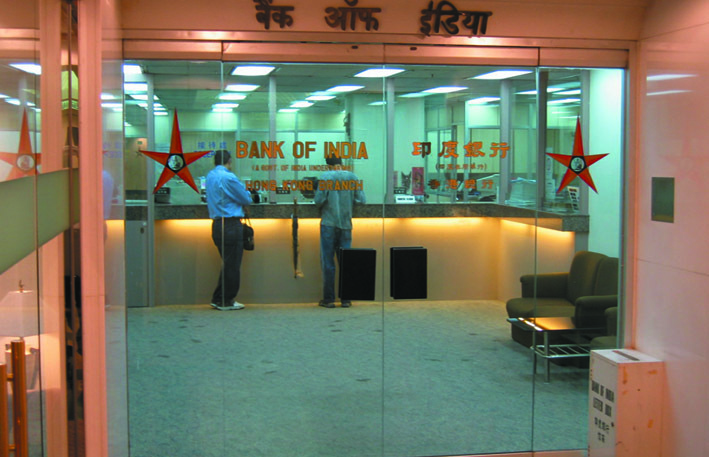 Bank staff, brought up in an environment where loans were made to state-owned companies or other large enterprises with few questions asked under explicit or implicit directives of the government, are likely to find it difficult to make the transition to one, where credit risks must be rigorously examined and the concomitant returns be sufficient to justify the risks. Similarly, deregulation and the resulting competition, is likely to make existing banks jittery about their profits and in the process, may end-up in accepting any business proposition, giving a go-by to the appraisal needs. The trauma associated with the transition is likely to add fresh NPAs to the system. One of the foundation stones of banks, which exhibit an excellent credit-culture, is a positive and valuing attitude towards their employees. Many banks have started trumpeting people as their most important asset. This is no doubt admirable, but it calls for hard, consistent work in policies, statements and actions of the executives for the employees to believe. Unless these eloquent values—“people, teamwork, integrity, respect, dignity,” etc. are backed up in practice, no one would believe them and for that matter, they may simply be treated as a joke of the day. For all this to happen, it is the top, which has to set up the tone. When the tone is cynical a cancer eats away at the potential strength of the employees. Where the tone is positive towards employees and all embracing, “power” and a “can-do” spirit arise. As against this, let us now turn our attention to what is happening in the banking system particularly in the arena of credit dispensation. As is known, the Board of Directors heads the bank-management and most of the appointments to the board are of political nature. How the members are appointed is besides the point. What matters here is how the members are handling their assignments. It is commonly perceived among the lower-rung officers that the members of the board of directors does not hesitate to pursue the interests of their constituents with full vigor. It is not uncommon for officers down the line being pushed to present a loan proposal in a particular fashion so that, it could be sold easily to the sanctioning authority. There would also be occasions where branches are forced to make proposals with whatever information that has been provided by the proponent. Reportedly, all this is accomplished, as the subject staff is conscious of their career progression and the influence of these power-centers on such matters. Unfortunately this malice is not confined just to the top alone as similar happenings are reported to be emanating from every executive cadre down the line. The all pervading ill-feeling among the credit officers is that they are often let down by their own bosses who are incidentally instrumental for getting a loan sanctioned, when it comes to the crunch time. Paradoxically, right from the general manager to branch manager, everyone is known to influence his immediate sub-ordinate to couch a loan proposal with desired adjectives while simultaneously carving out their own escape route from accountability. Interestingly it’s not that the overriding behavior of top management is alone responsible for the present hiatus. It is no exaggeration to say that certain staff members from across the cadre are often found to be too eager to accommodate such demands from the higher ups just to curry favor for their personal comforts. The net result is the prevalence of unhealthy credit processing practices at all levels which in turn means creation of poor quality loan assets all around. In fitness of the problem, one must be bold enough to concede the fact that unless the bank management put in their heart and soul at creating a healthy credit culture in the organization, nothing substantial could be achieved in terms of healthy loan portfolios. Managements, in their search for the underlying causes of the growing NPA menace, must go beyond the known frontiers and look for an answer that is dependable to ward off the evil. They should stretch their accountability studies to pre-sanction happenings too. It is time that banks applied their mind to the boggy of NPAs rising from loans sanctioned under political and such other extraneous considerations. Such an exercise would help the management revitalize the system by way of identifying people having a strong backbone to withstand such pressures and astute commercial sense to hold key posts in the critical centers of credit processing. Here again, among these two qualities, it is the sound business sense that is badly needed for two reasons: one, it enables the credit officer to analyze even a sought after loan from a commercial angle and to build reasonable checks and balances into sanction terms, and two, all recommended proposals need not necessarily be bad and hence credit skills come handy in protecting the bank’s interest. All these efforts can cumulatively enable the management to synthesize a new credit culture and sustain it by observing the basic tenets of management such as “standing by what is being preached”.